Comcast Business has once again been named to Vertical System Group’s Year-End 2017 U.S. Carrier Ethernet LEADERBOARD and achieved the highest organic growth rate across all 2017 U.S. Carrier Ethernet Leaderboards – growing our base of Ethernet ports appreciably without an acquisition. While it’s always exciting to top the charts, it shouldn’t come as a surprise, given our focus and commitment to delivering modern networking solutions and how Carrier Ethernet technology has become such a popular method for wide area networks. Ethernet continues to capture the “hearts and minds” of businesses of all sizes, across various industries that continue to employ Ethernet as their day-to-day operations become ever more reliant on their corporate networks. Ethernet provides high-capacity connectivity to the cloud and data centers, and delivers voice, video and data traffic to customer locations across a metropolitan area or across the country. This ranking reflects Comcast’s commitment to continually expanding the reach of our Ethernet services, which are a key part of our offerings to enterprise and mid-market organizations. Our comprehensive Ethernet portfolio also plays a key role in the delivery of our ActiveCore SDN and SD-WAN offerings, which are emerging technologies that are changing the communications landscape for multi-site enterprises. In fact, 2017 saw continued demand for Comcast Business Ethernet, reflected by customer projects with The Nashville Predators, Chapman Auto Group, Dauphin County Library System, and Northern Quest Resort and Casino. In addition, Comcast Business has partnered with NBCUniversal to manage critical components of the broadcast and digital transport for all its broadcasts, which included two of television’s biggest events, Super Bowl LII and the 2018 Winter Olympics. 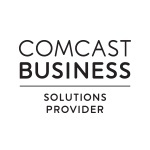 Comcast Business continues to expand the reach of its national network to bring fiber-based Ethernet services to more customers in more locations. Recently, we announced major investments to expand high-capacity Ethernet in Greater Philadelphia and New Jersey, San Jose, Minneapolis-St. Paul and other locations. As part of our continued momentum, in late 2017 the Metro Ethernet Forum (MEF) recognized Comcast Business and two of our customers for outstanding partnerships that demonstrated cutting-edge use of Ethernet solutions. We received two Enterprise Application Awards for Ethernet deployments at Cascadia Behavioral Health in Oregon and the Atlanta Braves’ SunTrust Park and the adjacent Battery Atlanta commercial center. We will continue to strengthen our Ethernet portfolio and expand our network to reach more customers, recognizing the importance of Ethernet and how it helps customers to evolve their IT operations, deliver new cutting-edge technologies and drive their business forward. This blog was originally published on Comcast’s Blog here. Jeff Lewis is Vice President of Product Management for Comcast Business, overseeing the company’s evolution of next generation networking, cloud, data center, Wi-Fi and internet solutions for business. His team is responsible for delivering smart connectivity solutions to effectively connect multiple locations, systems, employees, partners and customers across a distributed enterprise. A 25-year industry veteran, Jeff has played a key role developing some of the first hosted voice over IP (VoIP), session internet protocol (SIP) trunking, layer 3 virtual private network (VPN) and Metro Ethernet business solutions. Jeff has held positions with increasingly responsibility for the past nine years at Comcast Business. Prior to joining the company, he spent more than 12 years at AT&T and BellSouth. Jeff also launched new business initiatives and multinational programs for BellSouth International, where he traveled on assignment to Sao Paulo, Brazil, Ecuador and Venezuela. Jeff earned an MBA from Babson College, as well as both an MS and BS in Engineering from Boston University. For more information contact Vivian Chavez Vivian_Chavez@cable.comcast.com at Comcast Business.